On Dec. 7, at approximately 5:10 a.m., a Wantagh homeowner on Pine Street was awakened by her smoke detectors going off. The homeowner woke her children, left the house and called 911. Police Officers arrived a short time later and reported that the house was full of smoke. Third assistant chief Tom Bloomfield arrived at the scene and ordered the first engine (Engine 5) to pick up a hydrant. He also transmitted a “signal 98,” prompting a general alarm for additional units from all stations. First assistant chief Joe Gross arrived a short time later and assumed command. Firefighters from Engine 5 extinguished the fire while firefighters from ladder 1 opened window and ventilated using exhaust fans. Engines 2, 3 and 7 as well as Rescue 2 were on also on scene. 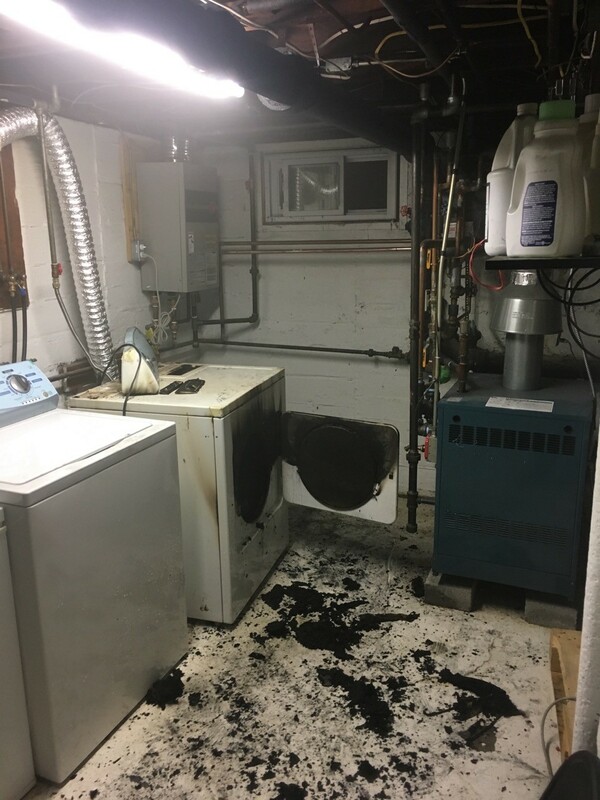 The origin of the fire was found to be the clothes dryer in the basement and although there was minor smoke damage throughout the house, the fire was contained to the dryer. All units were secure approximately 45 minutes later and there were no injuries reported. The information below is from the National Fire Protection Agency (NFPA) regarding residential dryer fires and should serve as a reminder about the importance of proper installation and maintenance of appliances in the home. Make sure you clean the lint filter before and after each load of laundry. Remove lint that has collected around the drum. Turn the dryer off when you leave the home or go to bed.